Preliminary ProceduresRaise and support the vehicle. Refer toLifting and Jacking the Vehicle.Remove the spare tire.Remove the exhaust system. Refer toExhaust Muffler Replacement.Support and lower the rear differential assembly. Refer toDifferential Replacement. Note:Record the Clutch Control Module RDS number. 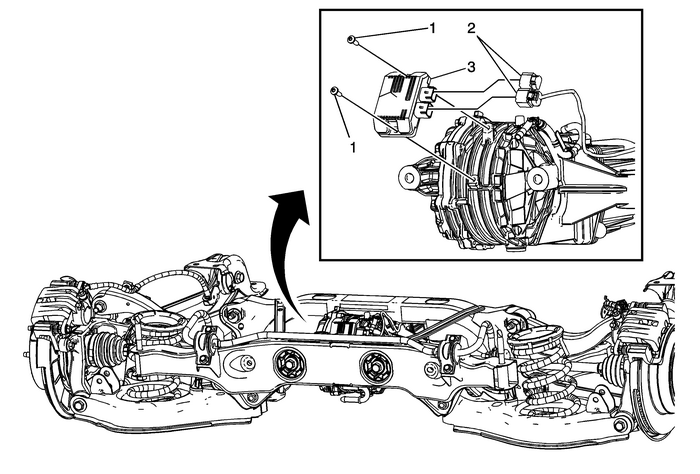 It is located on the Clutch Control Moduleharness connector. This number will be needed for the calibration procedure. Program the clutch control module. Refer toControl Module References.